KOKKIA i10s (Black) : Tiny Bluetooth iPod Transmitter for iPod/iPhone/iPad. Works well with Apple AirPods. Plug and Play. i10s Transmits Stereo audio from iPods, iPhones, iPads wirelessly to compatible Bluetooth Stereo receivers. Responds to Receiver Remote AVRCP commands (Play, Pause, Next, Previous). Works with Apple AirPods. Smallest size compared to other products made by other manufacturers in this category. 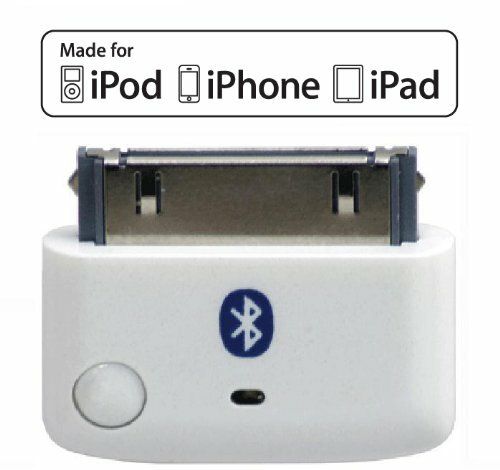 This product is Made-for-iPod, iPhone and iPad. 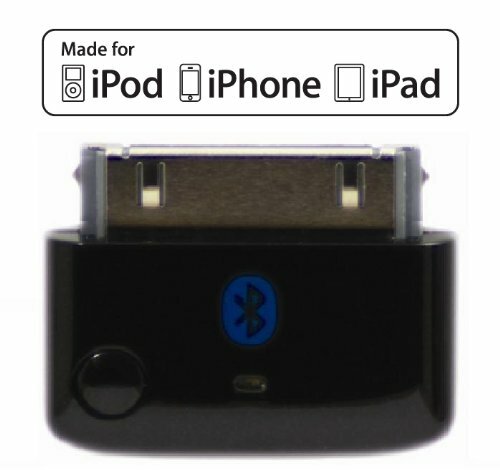 Includes Authentication IC chip, which allows for local iPod, iPhone, iPad volume adjustment. Low power consumption, for many hours of wireless audio enjoyment with iPods, iPhones and iPads. No batteries needed, powered by iPod/iPhone/iPad. 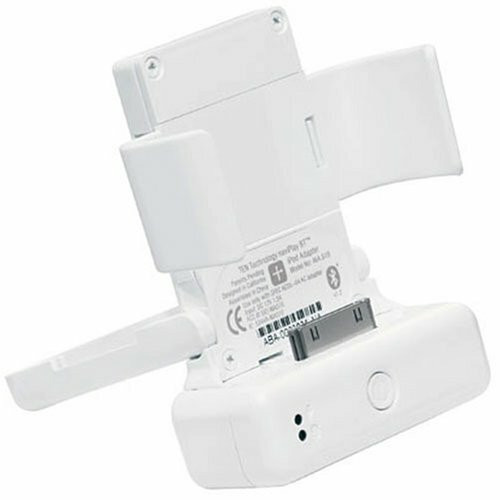 No cables needed, attach to iPod/iPhone/iPad via 30-pin connector. Plug and Play. Simple to operate. Bluetooth + EDR (Enhanced Data Rate), Class 2. 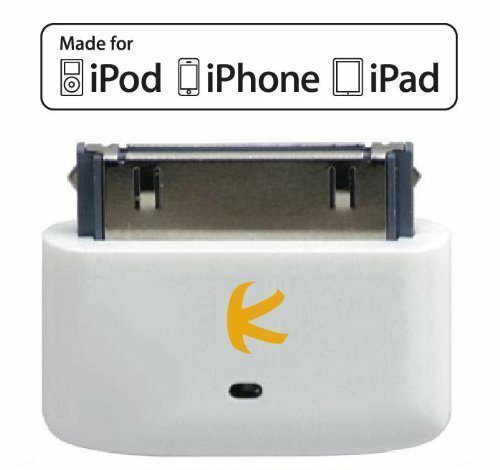 Works with iPad, iPhone 4, iPhone 3GS, iPhone 3G, iPhone (1st gen), iPod touch (1st-4th gen), iPod nano (1st,2nd,3rd,4th,5th and latest 6th gen tiny iPod nano), iPod classic (80,120,160GB), iPod 5G (aka iPod Video). KOKKIA i10s Luxurious White Tiny Bluetooth iPod Transmitter for iPod/iPhone/iPad/iTouch with true Apple authentication. Remote controls and local iPod/iPhone/iPad volume control capabilities. 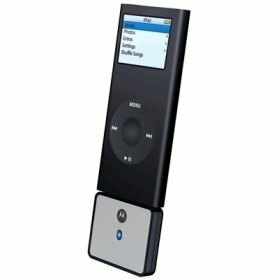 KOKKIA i10s + aptX (Luxurious Black) Tiny Bluetooth iPod Transmitter for iPod/iPhone/iPad with Apple authentication, delivers cleaner audio with reduced latency to aptX Bluetooth stereo receivers. 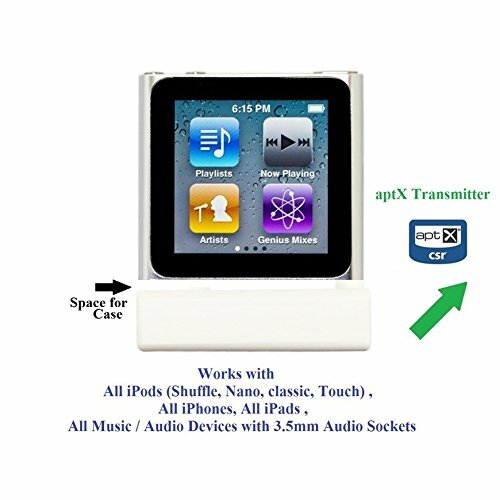 If you enjoy listening to music and own an iPod®, this is the perfect product for you! It enables you to wirelessly stream music from your iPod® to your Bluetooth® Stereo Headphones. Now you can listen to your favorite music stored on your iPod®, and never miss a call. 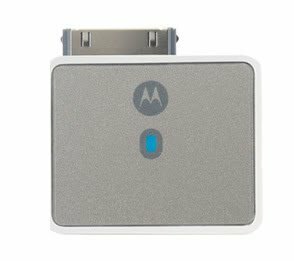 Works with the Motorola Bluetooth® Stereo Headphones HT820 and the Motorola Bluetooth® Home Stereo Adapter DC800. For iPod® enthusiasts, the Music Duo allows you to enjoy your iPod® wirelessly and still be able to take calls because Motorola Bluetooth® Stereo Headphones connect wirelessly to your iPod® with the naviPlay Bluetooth® Adapter and at the same time connect wirelessly to your compatible Bluetooth® phone. For the ultimate music experience at home, add the Bluetooth® Home Stereo Adapter DC800. You will be able to stream music from your iPod® through your home stereo speakers and broadcast your favorite iTunes®. KOKKIA i10 (Luxurious White, perfect match for white iPhone, white iPad) MULTI-STREAM Tiny Bluetooth iPod transmitter for iPod/iPhone/iPad/iTouch, stereo multi-stream (2 Receivers can enjoy 1 iDevice), with true Apple authentication. Remote Controls and Local iPod/iPhone/iPad Volume Control Capabilities. Works and fits very well with latest iPod 6th generation tiny Nano, iPod Touch 4th generation, iPhone 4S and iPad 3. 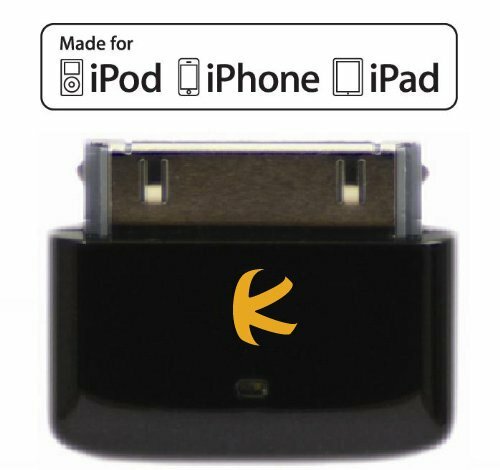 KOKKIA i10 (Black) : Bluetooth iPod Stereo Splitter Transmitter for iPod/iPhone/iPad, with true Apple authentication. Works well streaming to 2 sets of AirPods. KOKKIA iTRANSMITTER (white): Tiny UNIVERSAL iAdapter aptX Bluetooth Stereo Transmitter. 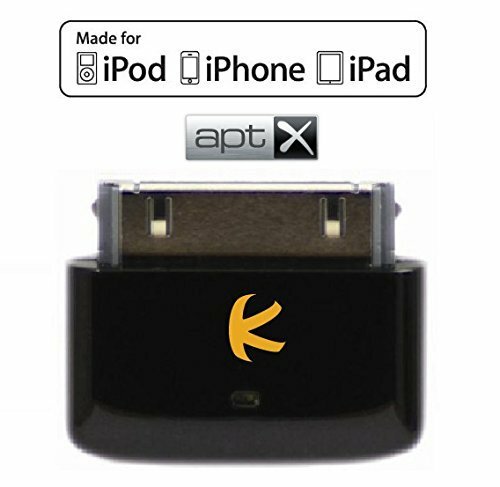 Works with ALL iPods/iPhones/iPads, Android/Windows SmartPhones,PCs/Macs, All Devices with 3.5mm audio sockets. Copyright © Wholesalion.com 2019 - The Best Prices On D650 Bluetooth Online.